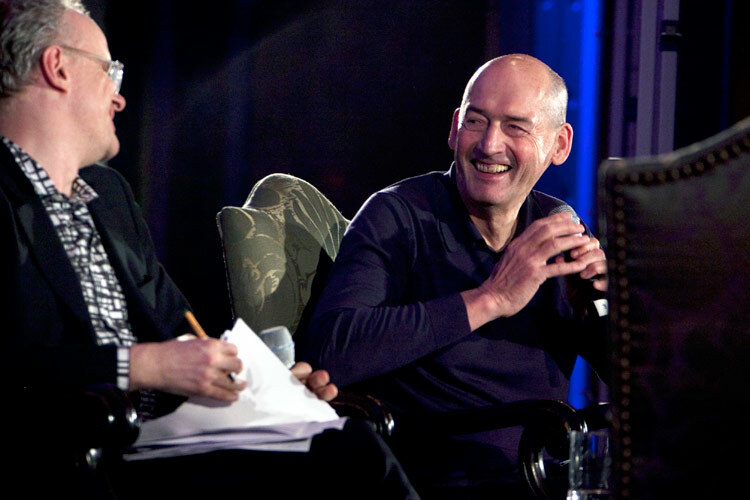 Rem Koolhaas cut the interviewer short when asked if he had any regrets: “That’s a private matter and therefore not one I will answer.” And yet the entire hour-long conversation provided what seemed to be almost shockingly intimate glimpses into the architect’s state of mind, where feelings of being lonely, isolated, ineffectual, nostalgic, and even old seemed simmering. 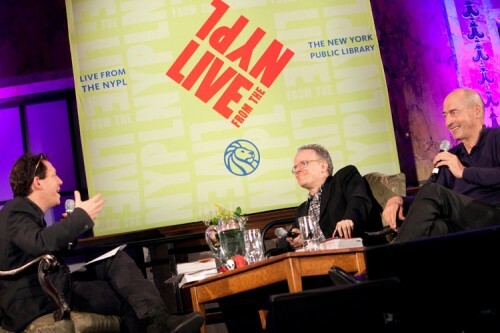 The event was LIVE, a series offering public interviews of topical characters, held in a sumptuous Victorian-age hall at the New York Public Library. And Rem Koolhaas with Hans Ulrich Obrist were there to talk with event curator Paul Holdengraber about their new book Project Japan: Metabolism Talks. The capacity audience numbered over 400, strong in architect professionals, including Marion Weiss, Michael Manfredi, SO-IL’s Jing Liu, Beatriz Colomina, Paul Goldberger, Suzanne Stephens, MoMA’s Pedro Gadhano, and Family’s Dong-Ping Wong among so many others. 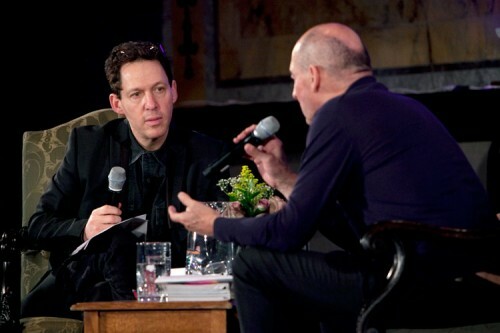 And they were all ears when Holdengraber said he had asked Koolhaas and Obrist to define themselves in seven words: Koolhaas gave a clear-cut six: mystic, rational, sober, baroque, patient, immediate. Obrist, sort of eight: catalyst, conversation, curating curiosity, guidance-making, and protest against forgetting. The sheer Japanoiserie of Japanese architecture impressed both Obrist and Koolhaas who attribute that quality to modern architects having never cut off tradition but allowing it to flow continuously from the past and into their work. The same, he said, could never be said of a French, Dutch, or Swiss architect (pace Zumthor). 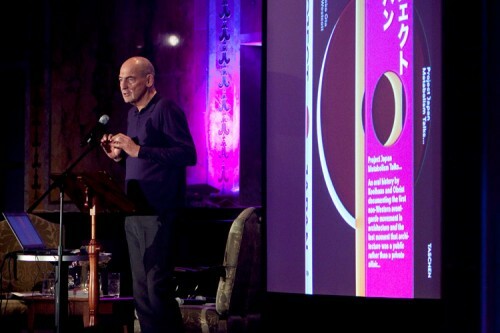 It means something to be a Japanese architect, Koolhaas contended, while elsewhere, “architects have disintegrated to insignificance.” Such self-flagellating remarks have been voiced before by the profession’s most Sphinxian sage. 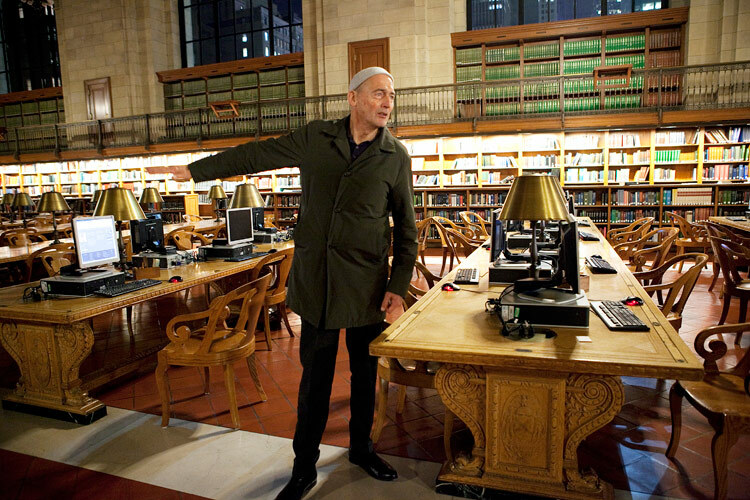 And yet when he spoke of meeting with surviving Metabolists—some of them politically reactionary, to his surprise— it was how they coped with their advancing years that seems to have caught his attention most: “Perhaps old age requires strategy more than any other point in life. 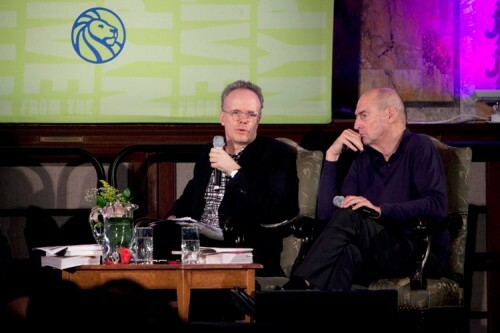 The conversations demonstrated touchingly that it is more crucial to exploit your limitations than to survive your gifts. 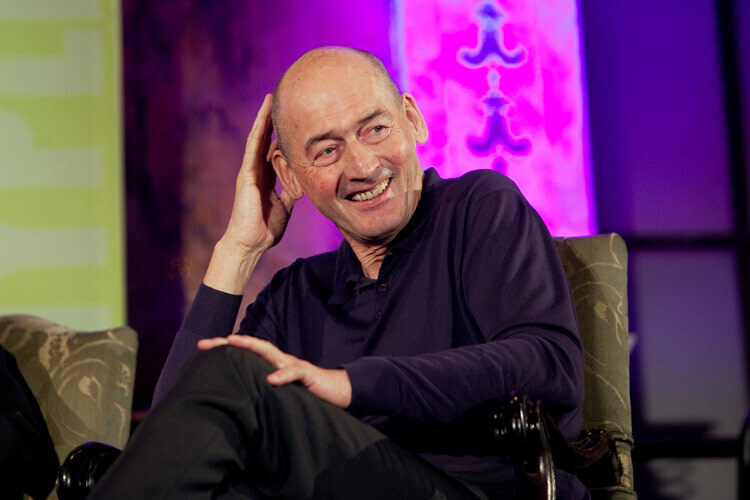 As memory weakens, vision is your only option,” Koolhaas said at the end, paraphrasing his book and, still marveling, added “It was magnificent to see the tactical ticking in their brains on how to make a good impression.” And so it was.